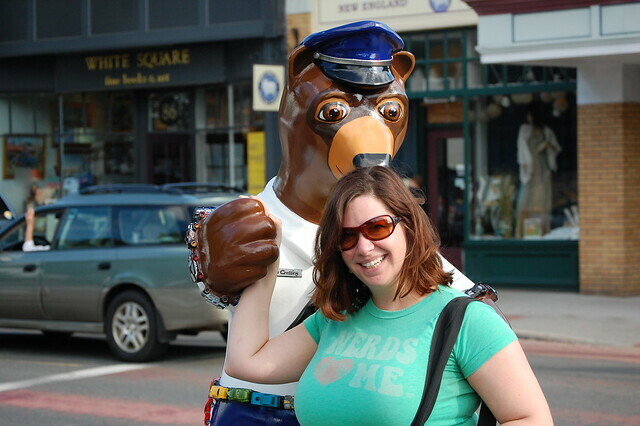 Weekend Update: Insert Bear Pun Here. When I told people I was going to BearFest last week, most thought at first that I said ‘BeerFest.’ This would not be an out-of-the-ordinary event for me and therefore an easy assumption. Funnier, though, were the people who heard the right thing but concocted all sorts of images in their minds as a result. 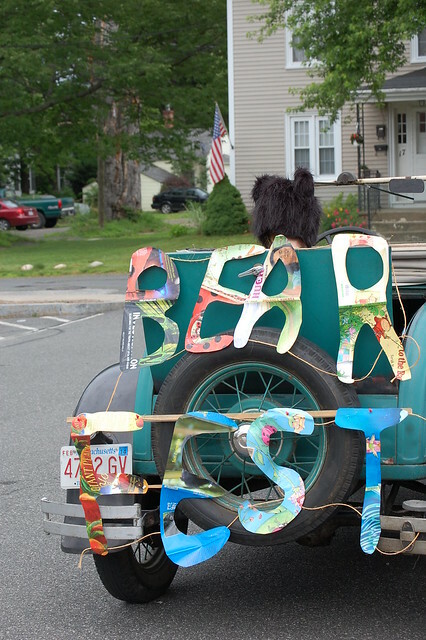 In fact, BearFest, an event in Easthampton, Mass., is similar to other art- and community-based fundraisers seen all over the world, wherein sculptures of the same animal or object — say a cow or a sneaker or a whale — are decorated by artists and placed around a town, city, region, what-have-you. 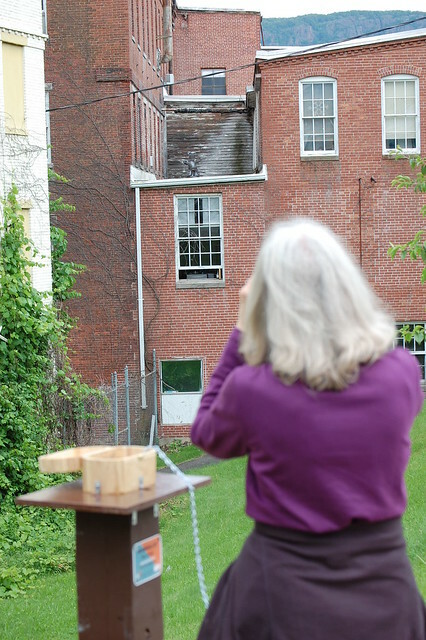 Visitors scour the community in search of these sculptures, and as they check them off of their maps, discover other great things like cool shops, great places to eat, or historic landmarks. 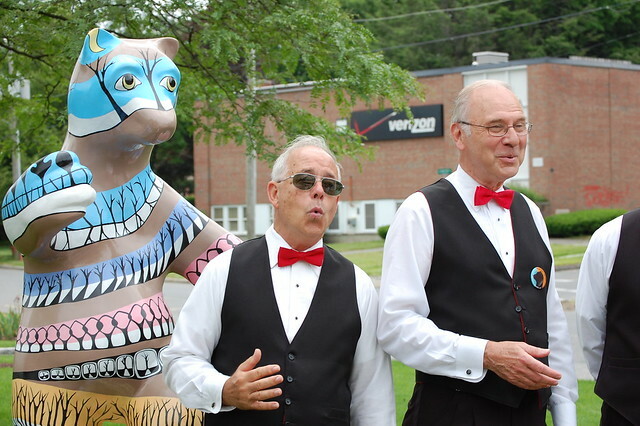 In many instances, the sculptures are auctioned off, allowing them to live on in storefronts or front lawns, while at the same time generating another boost of funding for a given cause. Any community can benefit from events like these. 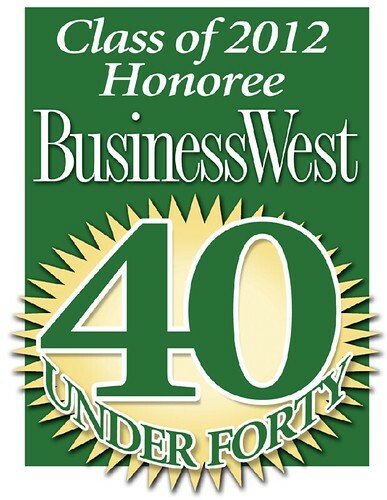 They’re creative, employ the talents of hundreds, and welcome any number of tourists to see what a place has to offer. 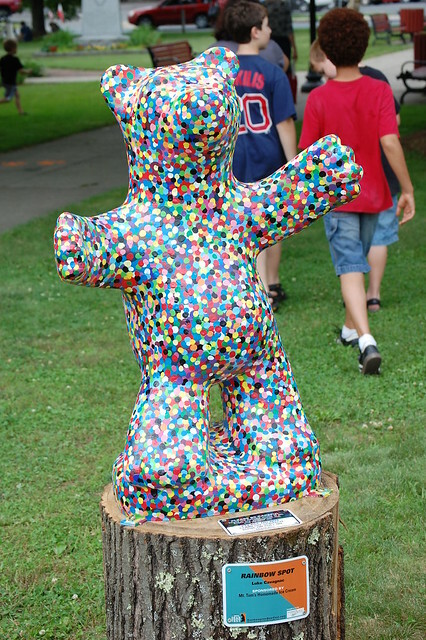 The biggest reason I think Easthampton’s BearFest is a particularly good representation of these events is the overwhelming feeling of Community-wide buy-in. 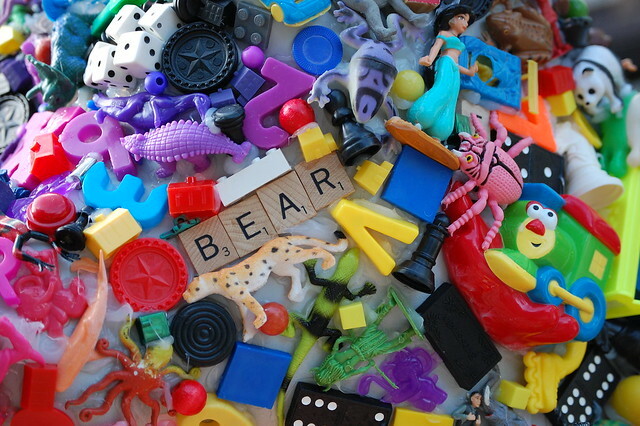 Organizers, from my view, seemed to make BearFest widely accessible. 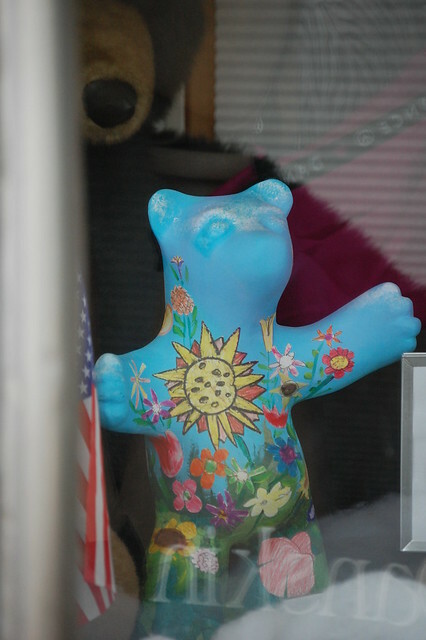 Not only are the bears free to view for anyone, there are multiple ways for businesses and residents to get involved, from sponsoring or hosting a bear to submitting an artistic design for review, to volunteering or just making cub-sized additions to daily life. I made as much of a note of the giant orange bear paws at Big E’s grocery as I did the SugarBakers cupcake truck that altered the name of one of its best-sellers to ‘Strawbeary’ on a hand-written sign. Nuances, just like big statements, add to the overall picture being painted. In addition, those same residents and business owners seemed to be joining in the fun, not going along with the crowd. Through collaboration, they were helping to make their town a competitive force. But back to the bears. 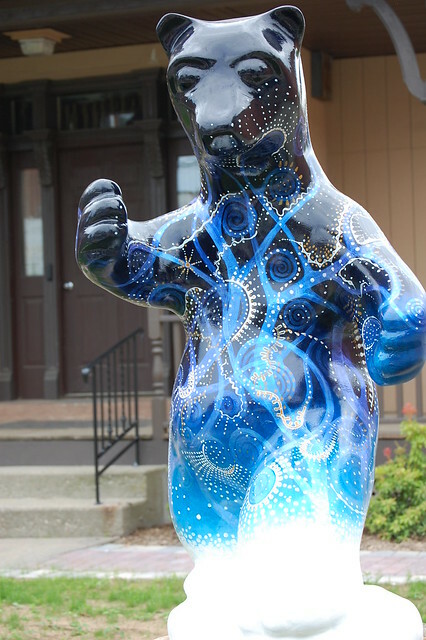 Who doesn’t love a town full of cuddly, not-actually-real, artistically rendered bears? 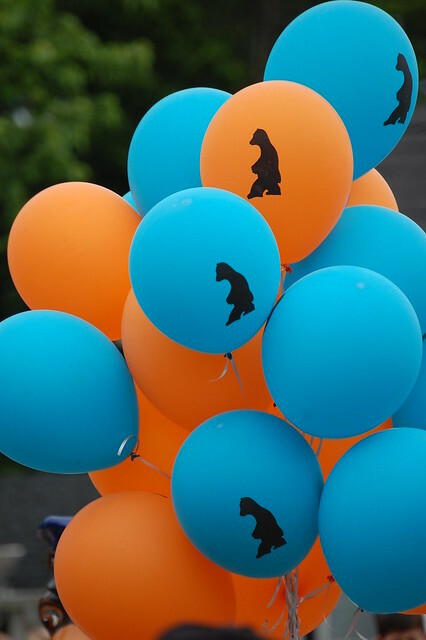 E-ton’s BearFest offered three varieties: Teddy Bears (the largest) Koalas, a medium-sized species, and Tabletop bears, which were a great way for schools, nonprofits, and small businesses to get into the action. 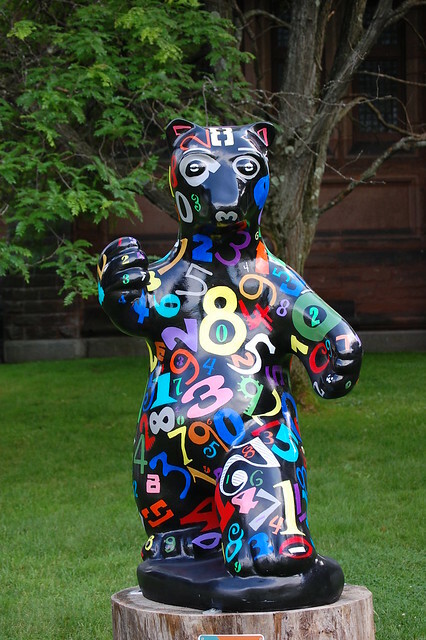 The Bears of Easthampton will be on display throughout the summer, but a kick-off celebration took place last weekend that included free ice cream from Mt. 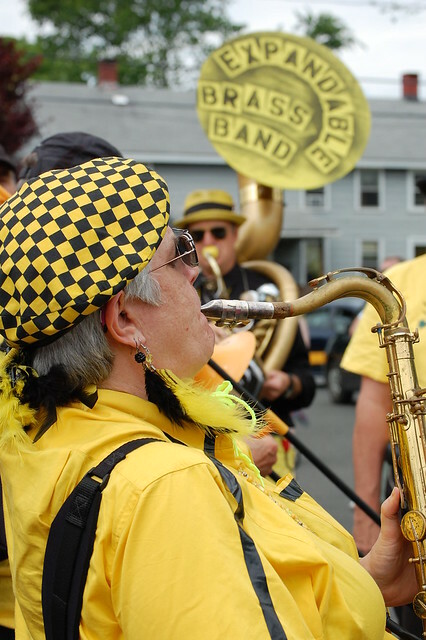 Tom’s, artist talks, and live performances from bands like my new fave, the Expandable Brass Band. With Bear Map in hand, Ben and I headed out to check all 40 of the larger ‘pedastaled’ bears off of the list, and document as many additional tabletop bears as we could along the way. From Eastworks to the municipal parking lot on Cottage Street, we proved Easthampton is a walkable town in one afternoon. 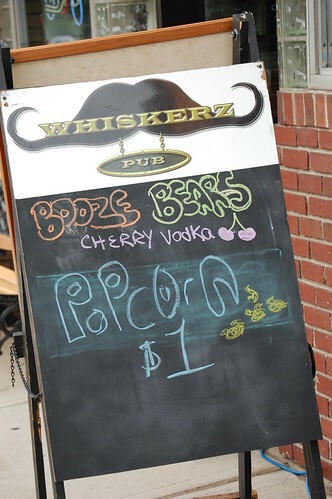 BearFest prognosis: a great time overall in a city with a very chill vibe. Repeat visit? Highly pawsible. Sorry. Had to get at least one in. Hoping this is where they took our “Cape Cod Bear”! He covered the Cape from the canal to P’Town and was headed back from whence he came when apprehended. I think he enjoyed his stay, but he never found a mate!